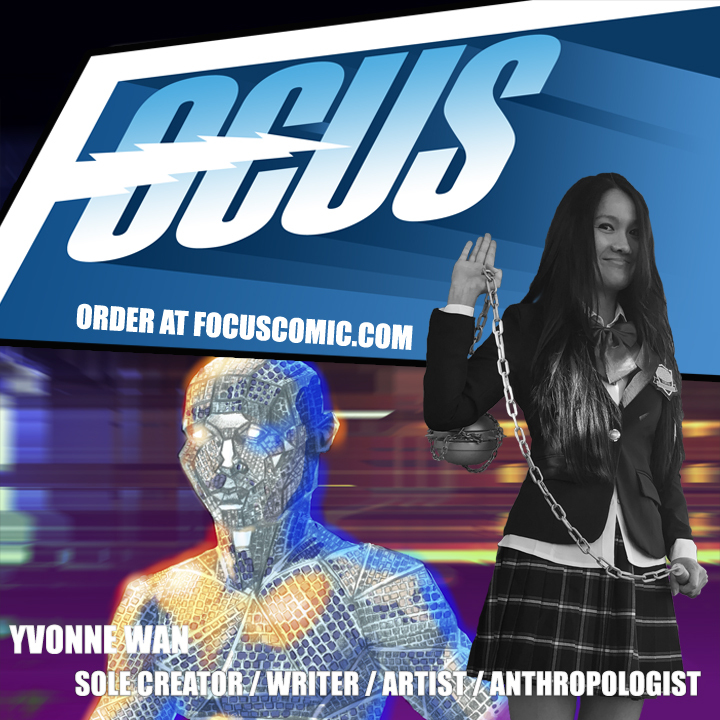 Yvonne Wan is a certified social-cultural anthropologist and sole creator of Focus Comic. Yvonne is an award-winning artist, broadcast documentary filmmaker, writer, and communications planner. Former employers include Cartoon Network, Saatchi & Saatchi and Ogilvy and Mather. Yvonne is passionate about social projects that unite communities together. Yvonne has won various awards including the Inspiration in life award hosted by the Discovery Channel and Media Week. Yvonne has also won a university project award on aging; including Art, Photography and Language awards. Yvonne has also worked on award winning advertising campaigns. She is specialist in communications planning and strategy development. Yvonne studies autistic families in Arizona and have produced a mini ethnographic documentary which can be found on Amazon Prime International. She is the main driver of this social cause campaign. She cares greatly about this social cause and believes whole heartedly that the Focus project can maintain human dignity for autistic individuals by removing the stigma associated with autism. Please click here to read an article that Yvonne wrote about the importance of supporting the arts and autism awareness. Focus is an action-adventure horror comic that features an autistic superhero. Focus also features an internship program where certified art teacher Douglas Hebert and Wan coach autistic interns to help the students fulfill their creative potential and get published. Community outreach events have become an integral part of their social cause initiative. The project has received celebrity endorsements from various well-known actors. Tony Todd is Focus Comic’s goodwill ambassador. He appears within the comic as a character called Thato and is the official voice of Focus too.